I love chicken for dinner. It always just hits the spot! 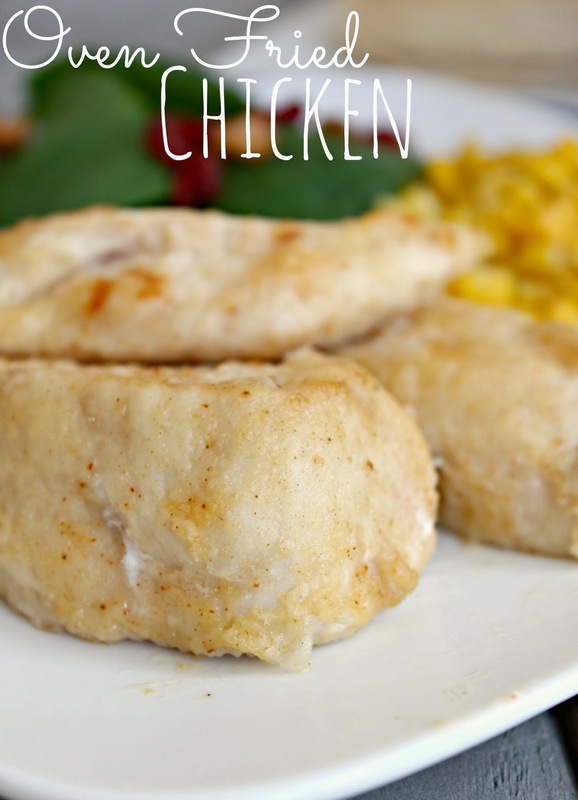 This Easy Oven Fried Chicken is just that... EASY! My whole family loved it! You could serve it over salad with the leftovers the next day! Preheat oven to 400 degrees. Place butter on a large baking sheet and place in the oven to melt. Combine flour salt, seasoning salt, pepper and paprika in a large paper or ziploc bag. Add the chicken and shake to coat. Take your baking sheet out of the oven once the butter has melted and place your chicken on it, leaving a space between each strip. Bake 10-12 minutes, flip gently with a pair of tongs, and bake another 10-12 minutes. Be sure to check to make sure your chicken is cooked. The thicker they are the longer they need to cook. You want it to be done but not overdone and dry. Bake another 5-10 minutes if needed. Remove from oven and serve hot!